I finished a printjob again, but wonder why the inflil and perimeter is not touching. What is the reason for that? How to get a better connection between infill and perimeter? Maybe your short belts are not tight enough? If I give some pressure to the belts with my fingers they feel very strong, so I don't know if this is the reason. I doubt that I can get them stronger if I loose the skrews, press down the motor and fix the skrews again. IMHO it looks like if the diameter of the filament is too small for some reason between the infill and the perimeter. I wonder that there is this clear gap almost same size around the whole part. I did a test print as you can see in the upper image. There everything looks fine. 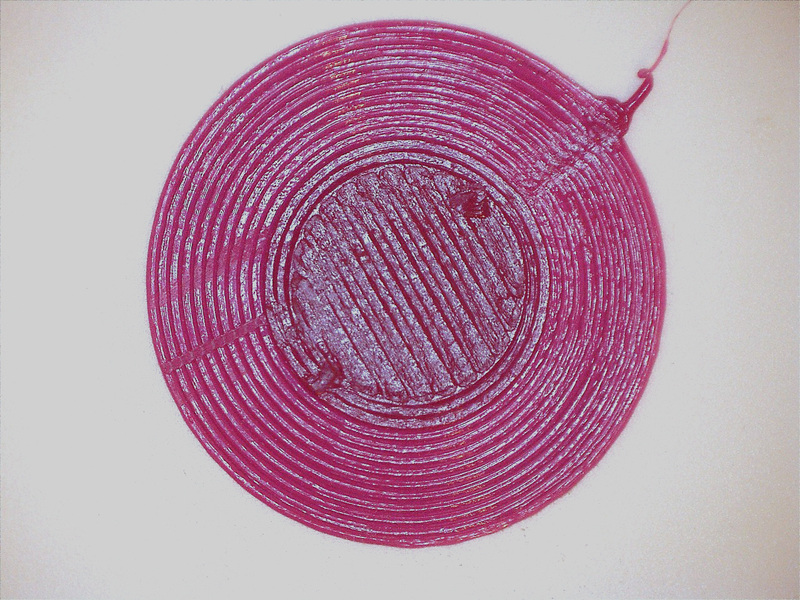 It shows the 2nd layer of a 10mm circle with 10 lines of brim. I used the maintenance function 'Move material' and pushed out a few cm of filament. Then I measured the diameter, it is always between 0.35 and 0.45 mm. Maybe I have to tweak some settings in Cura? I bet the gaps are also visible in the layer view of Cura, aren't they? Have you tried to (re-)set the shell thickness back to 1.0? How looks the layer view then? I did not test with Shell thicknes 1.0 yet since Cura shows this hint that shell thickness should be a multiple of nozzle size, and I think the Ultimaker team has a reason doing so - or not? But I wonder that the 'Fast print' option uses a default shell thickness of 1.0 mm by default and at the same time Cura shows this hint that it should be a multiple of nozzle size!?! But the question is still, why I get this gap between infill and perimeter and how to get rid of it? Well the way I am looking at it, your infill is fused to your perimeter. With 1.2 you get 3 walls and it looks to me like there is a gap between the middle and inner wall. What filament width setting have you got and, measuring along a 10mtr strip of filament (selectively) what measurements are you seeing.? What is your layer depth? What is your infill %? In your first pic. were the 4 models printed individually, or printed 4 on the bed - was that using "print one at a time" or "print all at once"? What is your minimum layer time set to? Just to confirm, the models in pic 1 were printed at 30mm/s and 220c? You do not say what filament you are using. If it is PLA do you have another filament you can try, something from Ultimaker, Faberdashery or colorFabb? Even the 'bites' from the extruder can make very tinny understrusion. The objects where printed 'All at once'. I used Innofil3D filament violet. If I look at the 10mm circle I printed for testing it looks quite nice. There is no gap at all between perimeter and infill. But this one causes problems - I don't really understand. I did some further tests with different shapes, same settings mentioned in the 1st post of this thread. Both is PLA from Innofil3D, printed at 220°. In the top image you can see how it looks like after the 1st layer was printed. The perimeter is 'far' away from the infill. But only for the square, the circle looks OK at this point. 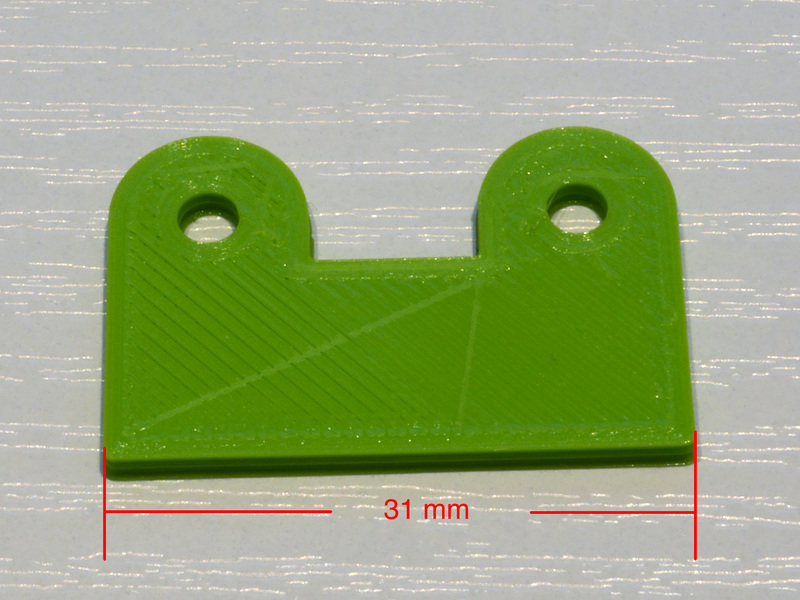 I tried also with different filament (the green one is PLA, Innofil) and used shell thicknees 1.2 mm and 1.0 mm (1.0mm is what Cura used in 'Fast print'). But no difference :sad:. The infill paths touch each other and melt together, this you can see in the circled parts. 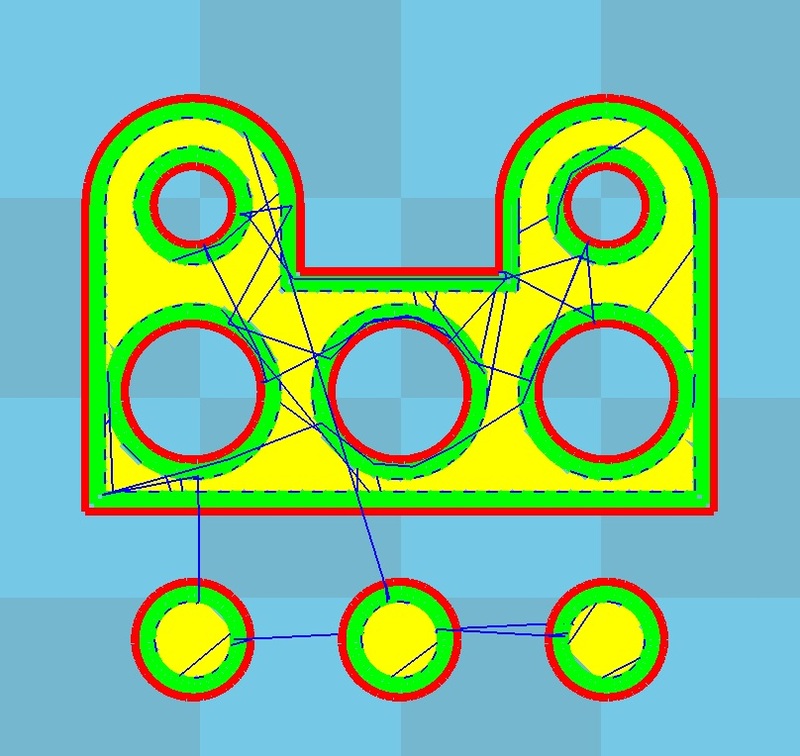 Only in the bottom green part you can see single paths of the infill. But in all images again this clear 'cut' between infill and perimeter. I really want to know what is the reason for that. BTW the prints were stopped at different layers, so they don't show the final result. I just stopped printing once I detected the error again. I also took away the printed parts during 'hot' printbed, so some parts are warped only because of that. If this doesn't work, something with your hardware must be wrong. Have you checked your bed levelling? The main thing you changed is the shell thickness from 1.0 to 0.8. But what does that mean? Does it mean I cannot create a wall thickness of 1.0 or 1.2 mm? I cannot belive it!?! What does 'dead' mean? How can I check if it is dead? I tested bed levelling with a squared part which almost occupies the whole print bed. I have good adhesion everywhere, so bed is levelled quite well. I wonder that the first layer of the green circle (first picture) is almost perfect but the square close to it not since there is this gap between the outer and 1st inner paths of perimeter. And secondly I wonder that there is this CLEAR THIN thin gap between the perimeter and infill - where does this clear gap coming from? The nozzle size is 0.4 mm, shell thickness 1.0 this means to me UM2 drives three paths and they overlap a little bit. With a shell thickness of 1mm you will cause cura to tell the printer to do two passes of 0.5mm. In other words, you're telling it to over extrude. This can work, but it's better to do multiples of your nozzle. I also see that you have vastly different speeds set for infill, outer/inner shells etc. Try leaving the travel speed and bottom layer speed at the default values you have now and set the rest of the speeds to 0 (which will make them the same as your main print speed). When you have such large differences in print speed between different parts of the print it can cause "lag" in the extrusion where the printer is trying to catch up. > With a shell thickness of 1mm you will cause cura to tell the printer to do two passes of 0.5mm. Are you sure? If I look at the 'layer view' (see post #5) I see a red outer perimeter and a green inner perimeter which has double width of the red one. IMHO this means Cura creates 3 passes - can you confirm? What I wonder is that 1.0mm shell thickness is what Cura sets in his 'Fast print'. 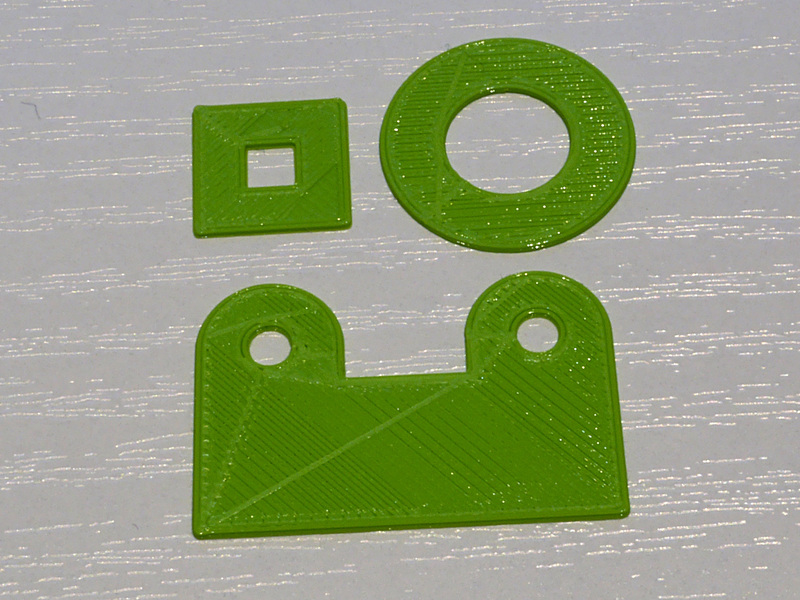 So this was not a decision by me, it was a default setting of Cura! UM2 drives three perimeter passes as you can see in the image posted in #9. If I take a closer look myself maybe there is no gap between infill and perimeter but a gap between the 2nd and 3rd pass of perimeter? If yes - how it comes? How to get rid of it? I think your combination of speed and shell is not ideal. When your ptfe coupler is dead/defect (the white teflon part) the inner walls are deformed so that the material comes out very uneven. You can take the nozzle apart and take a look into the coupler. Maybe you can print the parts with my settings posted above and report back? I printed now with your settings, except initial layer height. I used 0.2 instead 0.3 because otherwise I could not get good bed adhesion. The initial layer was very smooth, all paths of perimeter and infill melted together very nicely. The photo shows the print status after 4 layers of the bottom. Now it printed two perimeters. The gap is now between the outer and inner shell. Also the infill of the bottom layers do not melt together anymore, you can see single paths instead of a solid, smooth surface. 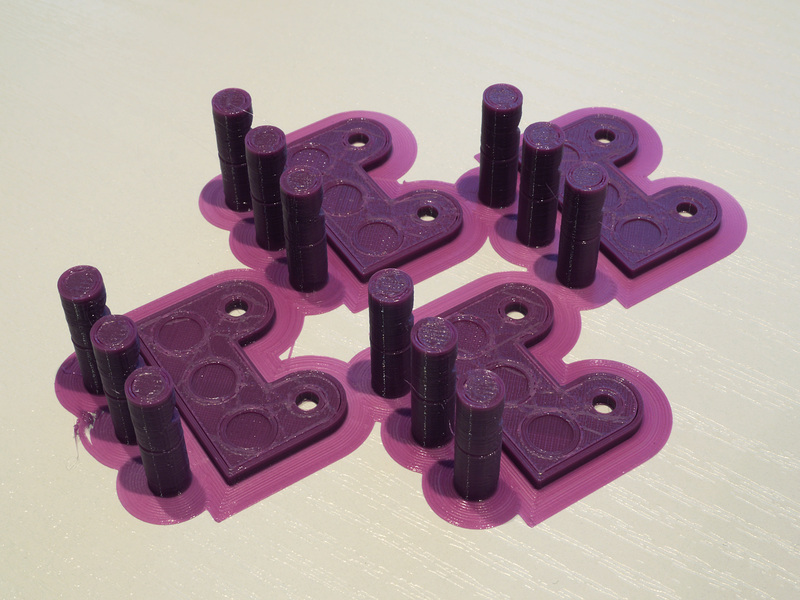 Mhh...try to level your bed closer to the nozzle and print again with Fans Off. If the surface is closed with Fans Off , replace your ptfe coupler. can you explain what is so important to print with 0.3 instead of 0.2 for first layer? I get good results for first layer with 0.2 mm now. And the 1st layer is not my problem, only in the upper layers the perimeters do not touch. Less distance? This I already have now with my 0.2 mm first layer - or not? Could you please explain what do you think could be wrong with my coupler that it causes such problems? 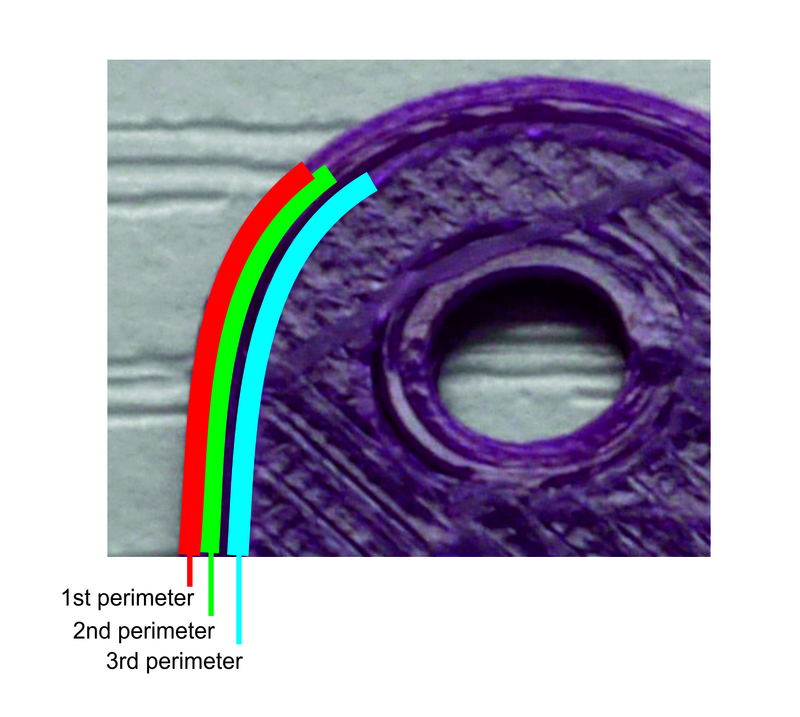 If you have problems with adhesion at 0.3mm layer your distance seems too large. I think the coupler has a small cove at the inner walls. When you change your Material the tip is probably not just sharp it has a bulge or? 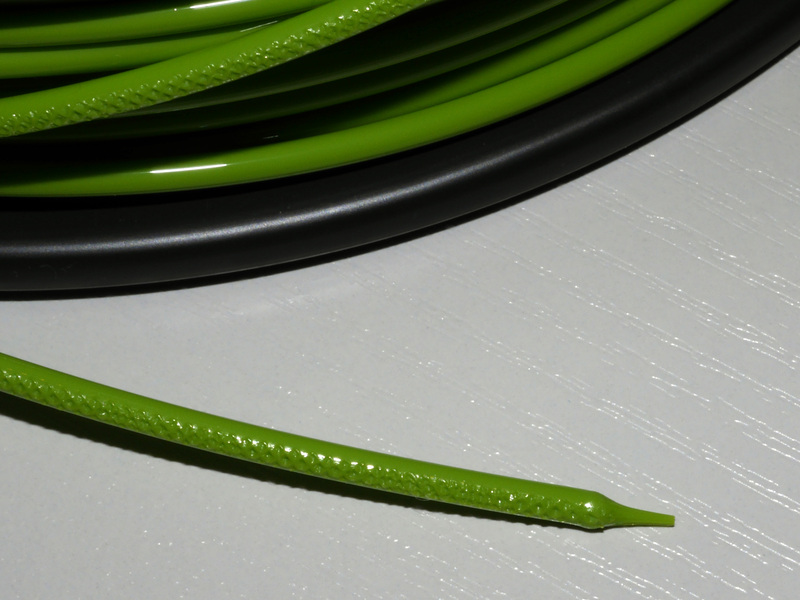 Regarding adhesion, if I set 1st layer height to 0.3 mm and the filament noodle has 0.4 mm diameter then the noodle gets 'only' squished by 0.1mm to get a layer height of 0.3 mm. But if I use 0.2 mm for first layer then the noodle gets squished for 0.2 mm which presses the noodle better into the glass bed. This is what I think. And the result shows I get better adhesion with 0.2 mm instead with 0.3 mm for first layer thickness. Could you explain what you mean saying my coupler has a small cove? 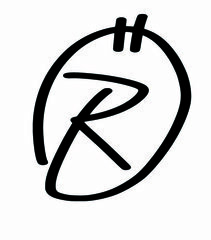 A simple drawing would be nice. And how could this cove cause the perimeter not connect? I had the same problem. Replacing the coupler works for me. But your tip looks good. Must be something different when printing with Fans off doesn't close the surface. With small cove I mean your inner wall is not smooth. As you can see the perimeter has no gaps anymore. So higher temperature solved this problem almost. But the top layer is not closed smoothly. 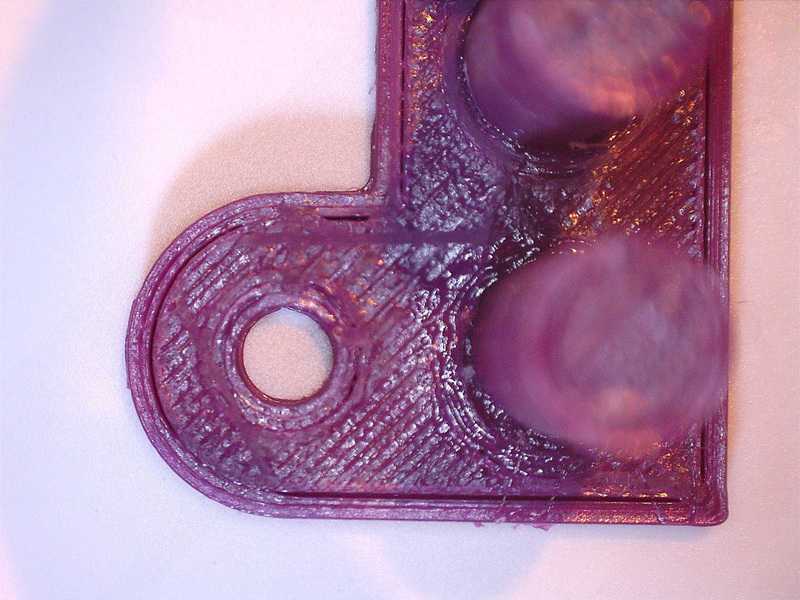 On the left side you can see single passes of filament on the right side the top layer is closed as expected. What is the reason that on the left side the top layer is not closed? How can I correct this now? Exactly my problem..as I mentioned before turn side fans OFF! If this solve the problem, change the ptfe coupler. Worked for me.